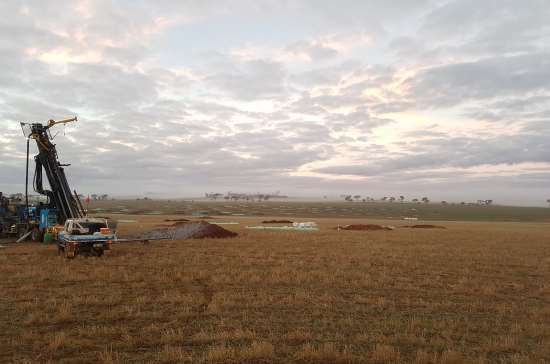 ASX-listed gold miner Ramelius Resources has launched a takeover process for rival Western Australia-based firm Explaurum with the distribution of a bidder’s statement. Ramelius first announced its takeover bid on September 10 with an offer of one Ramelius share for every four Explaurum shares. The scrip offer valued Explaurum’s shares at 12.3 cents each – a 66% premium on the company’s September 7 closing price of 7.4 cents. The $59.2 million bid effectively bypassed Explaurum’s board after an agreement could not be reached with directors despite several attempts to ‘engage in dialogue’, according to Ramelius. Ramelius is particularly interested in Explaurum’s Tampia Hill gold project near Narembeen, around 240 km East of Perth. The company will look to develop synergies between Tampia Hill and its own nearby Edna May mine. “The proximity of the Edna May mine to Explaurum’s Tampia Hill project provides potential to realise significant capital cost savings and operational synergies while maintaining exposure to ongoing exploration potential,” said Ramelius. The Explaurum takeover bid is the latest development in a period of expansion for Ramelius, after it purchased Edna May from Evolution Mining last October. The company also agreed to acquire the $13 million Marda Gold project from Black Oak Minerals just days after the initial Explaurum announcement. Australian Business Network is published alongside our sister publications, Resource Global Network, African Business Network and Construction Global Network. Our mission is to deliver news and analysis covering key national and international areas of business, companies, technology, issues and trends.